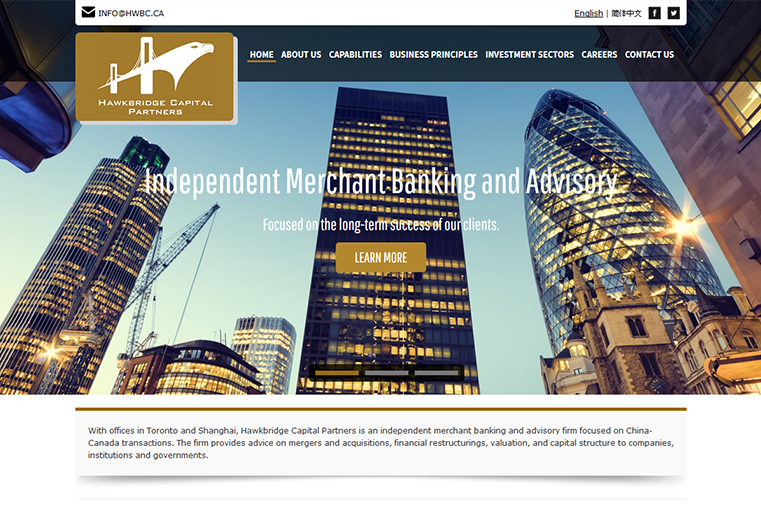 Hawkbridge Capital is a private investment company assisting Chinese entrepreneurs establish businesses in Canada. Caramel, navy blue and white colour scheme, matched with amazing backdrop images are successfully employed in this investment company website design. The website also boasts a minimalist style layout which is still very much en vogue and makes for easier browsing. The website is available in both English and Chinese languages. The content management systems also facilitates editing of text content in both these languages.